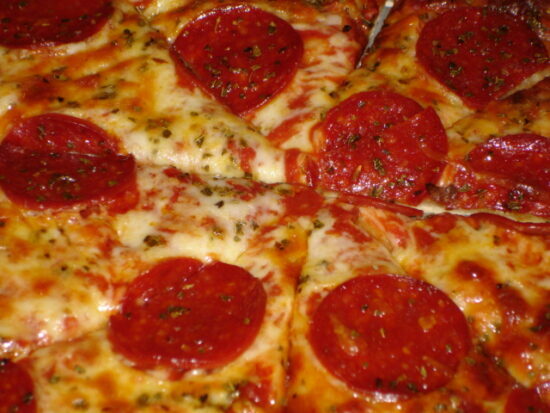 Today (September 5) is Cheese Pizza Day. In honor of the foodie holiday, many pizza restaurants will be holding great deals on all kinds of pizza, not just cheese. Here are a few of the best deals happening around the United States today. Brixx Woodfired Pizza: You can get a free cheese pizza at Brixx by showing them the tweet above. California Pizza Kitchen: Sign up for CPK Rewards and get a free small plate. Chuck E. Cheese’s: Join Chuck E. Cheese’s More Cheese Rewards and get a free personal one-topping pizza during your next visit. Cicis: Cicis is offering customers a $5 large one-topping pizza to-go with the purchase of an offer in the MyCicis app. This National Cheese Pizza Day deal is valid through the month of September. Domino’s: Domino’s is running a mix-and-match special. The special allows you to choose two items from a select menu for just $5.99 each. Little Caesar’s: This pizza outfit has a great deal on its 5 Meat Feast pizza. For a limited time, it is priced at just $9. Papa John’s: Papa John’s is offering two Cheese Pizza Day deals for customers. Using the code LG1TOP7 you can get a 1-topping pizza for $7. You can also use the code CHEESELOVER and get an order of cheese sticks for just $5. Paragon Theaters: Paragon Theaters has a buy-one-get-one-free pizza deal in honor of National Cheese Pizza Day. All you have to do is buy one, and they’ll hand you a second for free. Pizza Hut: Get two medium two-topping pizzas for $5.99 each (delivery and carry out). You may be able to save even more money on each of the deals outlined above by signing up for each pizza restaurant’s rewards program. Many establishments allow you to accrue points and, eventually, you’ll get perks like a free pizza or side item. If you’re looking for more great deals on pizza, you can look forward to National Pepperoni Pizza Day on Sept. 20 and National Sausage Pizza Day on Oct. 11.